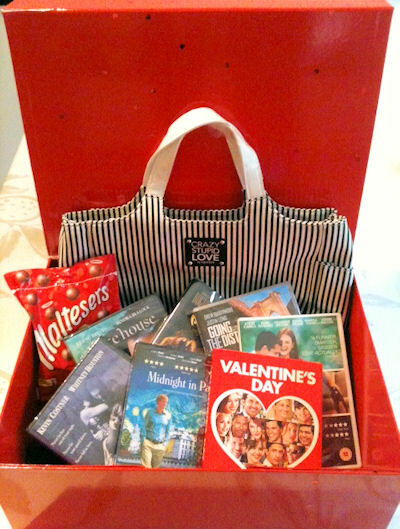 Thank you to Warner Bros. for the lovely gift box that arrived her on the morning of the 14th February. It was a hectic day as the man of the house started a new job and was out of the house by 6am. He didn’t make it home until about 8pm and was so tired that he crashed out at 8.30, pretty much into his supper. The lovely box had 4 films in it that I haven’t seen before, so they are going to be put to good use over the weekend when the man might not be quite so sleepy. The gorgeous Crazy Stupid Love bag and the little compact mirror were lovely touches. The packages from Warner Bros. are really something lovely to receive, and they even add little touches. There must have been dozens of tiny red hearts which scattered the floor like confetti when the box was opened. My boys have gathered them up to stick on to envelopes for the girls they plan to give late valentines cards to at school on Thursday. Very thrifty my boys are getting. 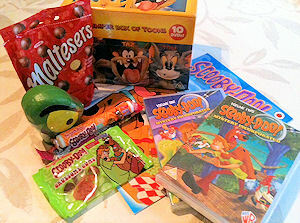 The kids didn’t miss out either, as they were sent their own little gift box with DVD’s, sweeties and a colouring book. My boys had seen the stamp on the packs with the WB on the front and were beside themselves with anticipation, even before I managed to open the massive envelope that their package arrived in. The Scottish Mum Blog household all love you. Great package! Can’t believe they send so many, even the kids have their own 🙂 Am sure all of you will enjoy the movies. WOW – what a fabulous package – so jealous. It is fab. So happy that Warner Bros. give us these. We all love the gifts. Lovely package wasn’t it? Such attention to detail. Absolutely fabulous package. I’m looking forward to kids at school and sneaking a movie or two in peace to be honest.